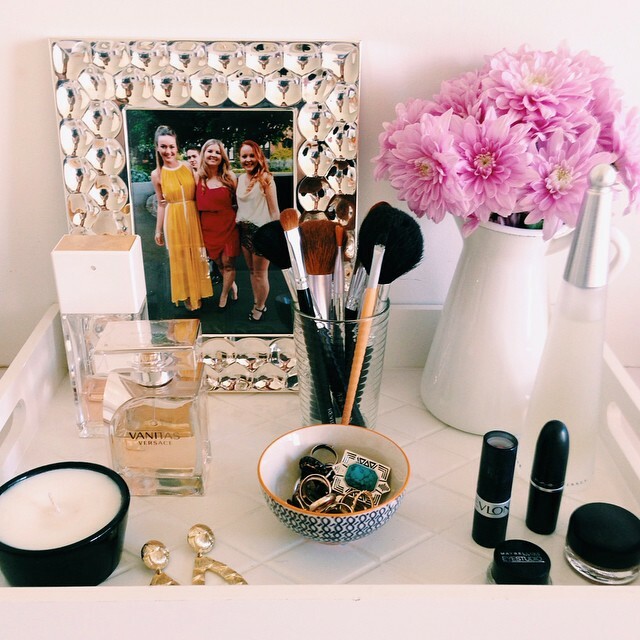 My makeup vanity is constantly changing. It’s come a long way since I first organized it. 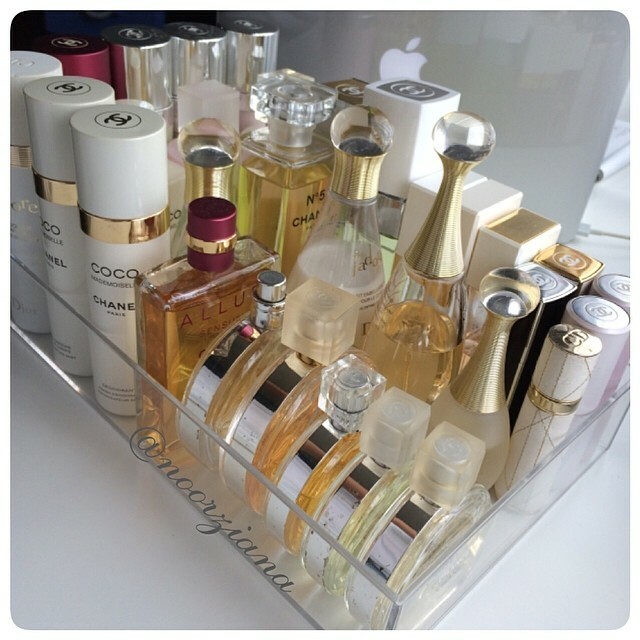 But as I collect more and more things I find that some perfume bottles, skin care jars, and other beauty products are just too pretty to hide away in a drawer. 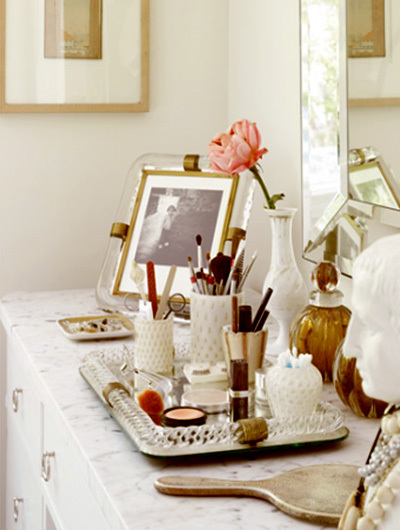 That’s where makeup trays comes in. 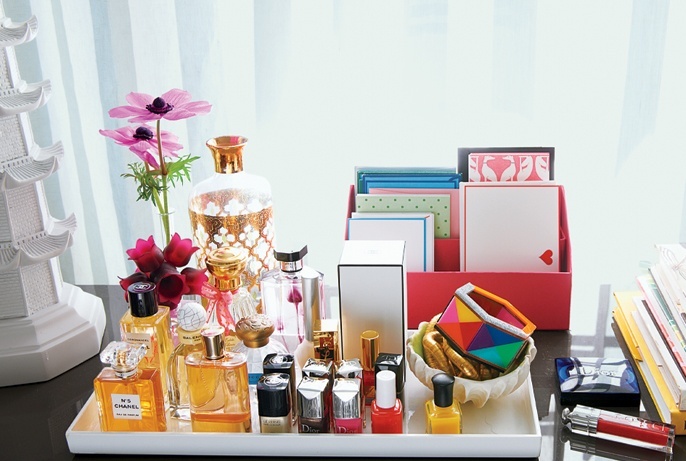 Instead of tucking everything away, use a tray to display all your best items. 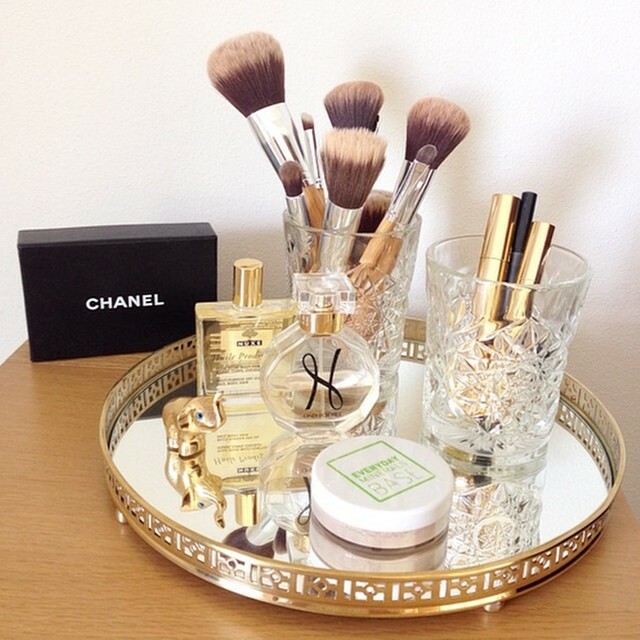 I found an antique tray for mine for just pennies, but I think I might replace it with one of these beauties below. 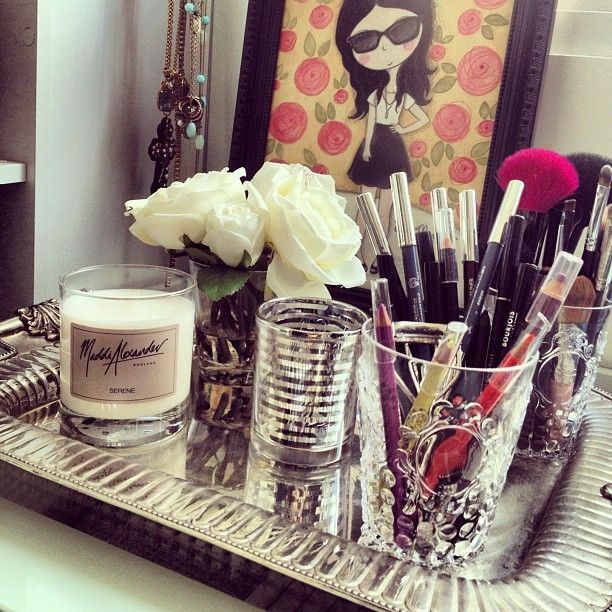 How do you display or organize your beauty products? 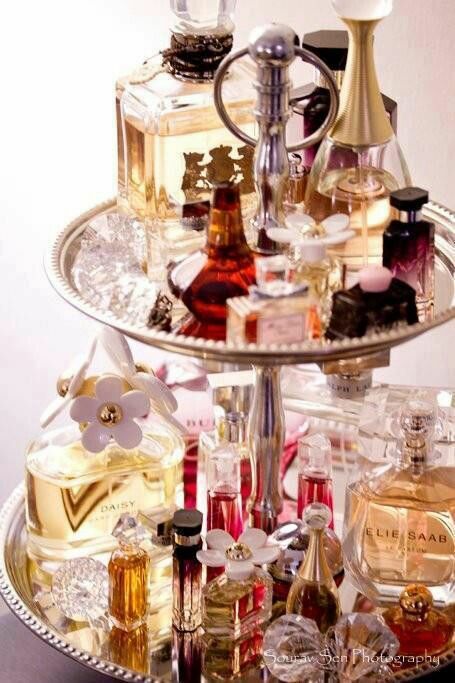 I love tray displays, so pretty! 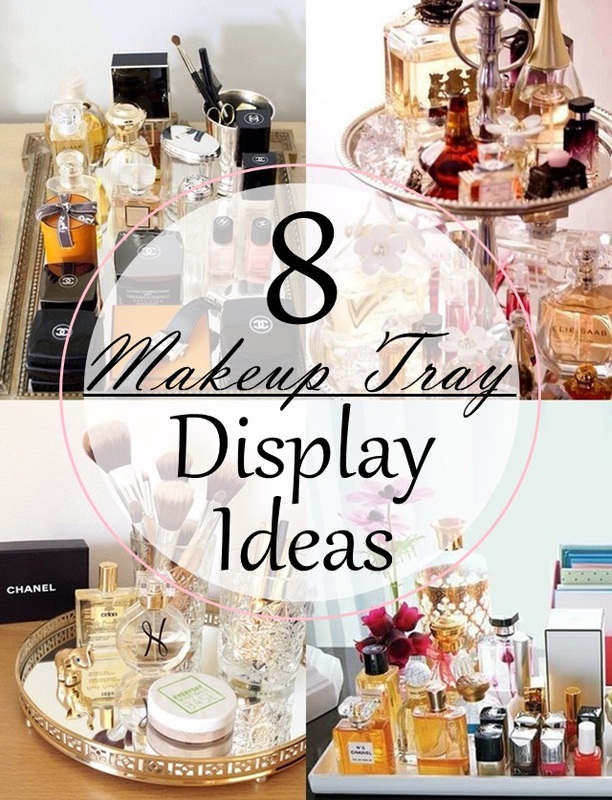 I've been looking for a few trays to add to my closet/office and picked up a couple. 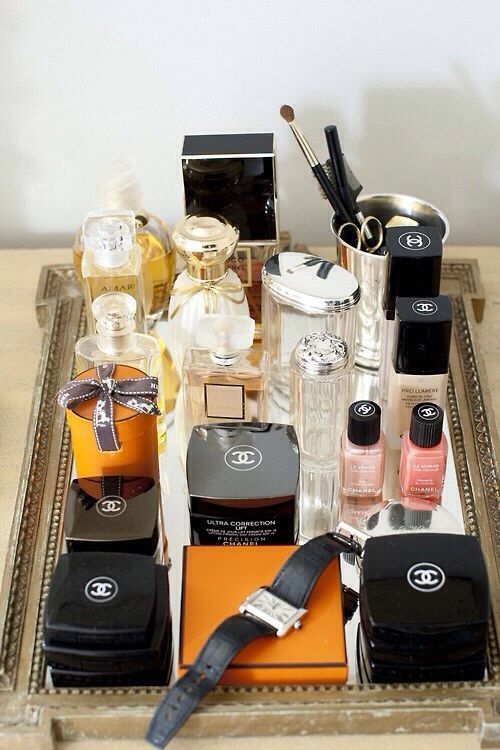 I love the mirrored display tray.